From Roman courtyards to Victorian era walls, bricks have dominated the architectural features of ancient times. And it wouldn’t be wrong to say that they are still dominating the interior décor world if you are looking to evoke rustic charm and grace in your setting. There is something absolutely mesmerizing about them which attracts eyeballs and gazes of every passerby. And if you’re looking to bring the magic and intrigue of bricks in your residential or commercial project, then we have something for you – our collection of brick effect bathroom tiles. One of the best ways to create a charming yet gritty bathroom space, these brick tiles are design world classics and will light up your space with their presence. Known for their simplicity and eccentric style, our collection of brick effect bathroom tiles have a cozy, warm look and feel which will help you create the desired aesthetics. The brick bathroom tiles take on the classic version with a different look with a range of finishes including textured, gloss, matt etc and will totally fill your space with an irresistible flair. Available in multiple styles, shapes, colors, textures and sizes, our brick effect tiles are quite flexible and versatile and are ideal for modern, traditional and contemporary spaces. Whether you’re looking to create an accent wall of floor or want to cover your entire space with them, our brick effect bathroom tiles are just perfect and will be a special presence in the setting. 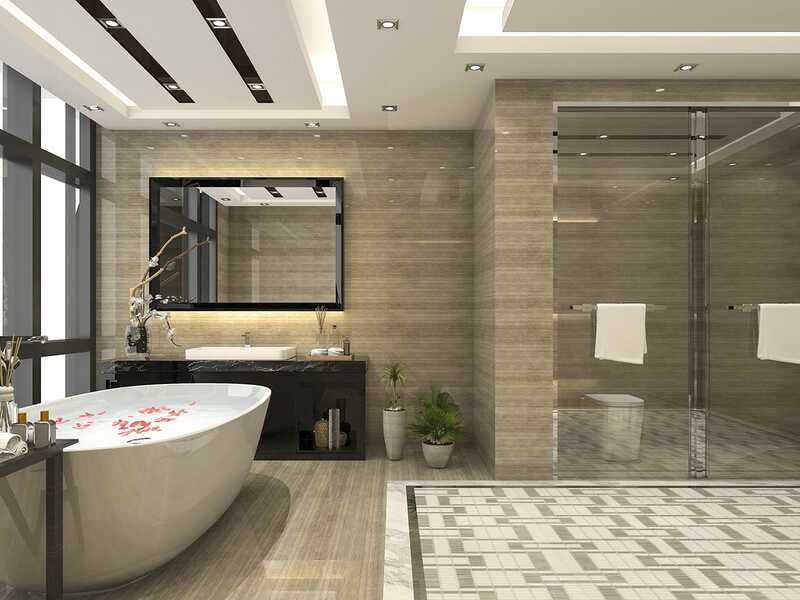 These bathroom tiles can be easily installed and are extremely lightweight and cost effective. Easy to clean and maintain, our brick effect tiles are created from durable materials and our advanced printing technology ensuring a smooth finish and tiles which can stand all forms of wear and tear. Whether it’s your home, restaurant or hotel walls, shopping malls or universities, cafe or office space, these decorative brick bathroom tiles will blend in perfectly to give you a standout and elegant setting. From the classic red or rust to shiny black and white, we have a range of brick effect tiles which will give your space a refined industrial look. If you’re looking to give your bathroom or wet room an eye-catching design upgrade, then these brick effect bathroom tiles are all you need.